This is one of the most frequently-asked questions from anyone interested in living at Narara Ecovillage. Our answer: “With a strong commitment to Sociocracy” – a governance model based on the insistence that everyone has the opportunity to be heard and that processes are transparent. When all members’ needs and concerns are heard and taken into account, and decisions are made in a way that is truly collaborative, there is high ‘buy-in’ and acceptance from all. This also generally ensures high quality, creative decisions, as the wisdom of the group is pooled and solutions do not depend on just one or two leaders ‘getting it right’. We are committed to continuous learning ourselves, and hope to share our learning with other individuals, groups and organisations who are interested in Sociocracy. Does Sociocracy help in Conflict Resolution? Sociocracy in itself is not a ‘conflict resolution process’ per se. However, the conscious application of its principles and practice steps in day-to-day communication and decision-making are showing us that even long-standing misunderstandings can be resolved. We bring very varied personal histories to our shared community journey here. We are drawn by a shared vision, but our interpretations are diverse. Inevitably there is controversy and sometimes seriously upset feelings. Hindsight is increasingly showing us that reaching a restorative resolution is strongly connected with implementation of solid Sociocratic practice. Sociocracy therefore strongly informs our conflict prevention as well as resolution approaches. After all, if we learn and practice a ‘habit of interaction’ where all members concerned can pool concerns, share needs, be heard in an environment where a serious effort is made to understand one another’s perspective, then differences that triggered disharmony generally dissolve with new understanding. This often comes with a stronger sense of connection and deeper commitment to our shared intent – the creation of a more sustainable world for both the present and the future. In some ways, we continue to provide our own incentives to be clearer and more effective in our processes of decision-making. Does Sociocracy influence the Narara Ecovillage Organisational Structure? Our organisational structure supports, and is informed by, Sociocracy. The pattern is more like a flower than a pyramid with inter-connected circles passing information and feedback between different areas of responsibility – from the Board making legally-binding policy decisions to a working group managing day-to-day issues such as the market stall at a Village Day. 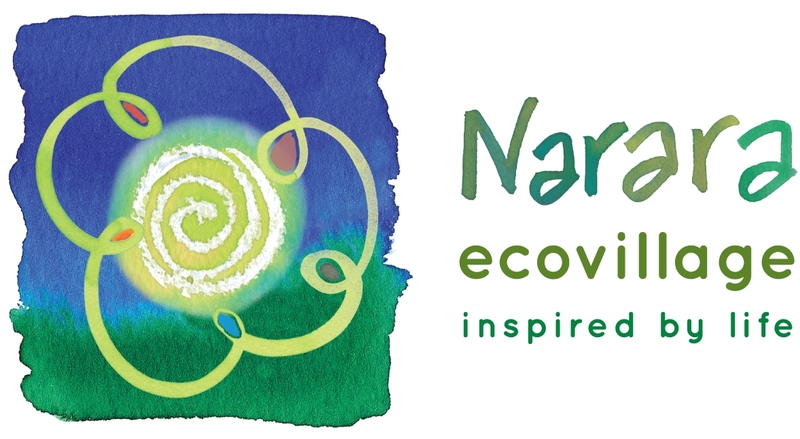 Narara is currently the largest and most complex intentional community in Australia to be using the principles and practices of Sociocracy on a daily basis in our groups and gatherings. We are always learning and implementation is ongoing. We are fortunate to have Gina Price, who is one of the lead trainers of the model in Australia, on our Board. As with other aspects of our project, we are part of a global movement towards a better way of working together. Sociocracy is increasingly being adopted in ecovillages around the world. It is often called Dynamic Governance in the USA. There are a number of training organisations offering introductions in easily-understood ways.